Below is a short list of books, podcasts and websites that I have found to be educational and inspirational. This book is at the top of most recommended lists for a reason - it contains enough mindset-altering content to completely change the way you think about money and personal finance. Be sure to enter with an open mind, as Robert Kiyosaki attacks many common misconceptions and attitudes about money. This is not a technical book but rather is designed to get you thinking the right way (you can learn the how-to's of real estate from other sources). This one is worth multiple reads - I personally make it a point to re-read once a year. An excellent read that focuses primarily on multifamily investing, Ken McElroy does a nice job of explaining things in terms that are easy to understand. The simple truth is that unless you are already wealthy, if you want to build a real estate empire quickly, you will need to learn how to do it without tying up too much of your capital. Written by Bigger Pockets podcast co-host and successful investor, Brandon Turner, this book does a great job of outlining different ways to attack the financing of a great deal. Bottom line, this is a great resource for those looking to add tools to their real estate investing toolbox. Written by podcaster, real estate investor and Rich Dad disciple Keith Weinhold, this quick, concise read contains zero fluff. Similar to Rich Dad Poor Dad, but more to the point, Keith clearly outlines the money myths that keep people from becoming truly wealthy. Keith does a great job at explaining all of the benefits of owning real estate. If you are like me then you absolutely hate paying taxes. This book teaches you how legally and ethically reduce and even eliminate paying any kind of income tax. One of the best ways to do this is by owning rental real estate. Taxes may seem like a boring subject, but Tom Wheelwright makes it much more exciting while presenting the amazing notion of a life without taxes. As you can tell from my website, I am a metric driven person...and I am not ashamed! After all, how do you know if you're winning if you don't keep score? This technical book takes a deep dive into many metrics (37 to be exact! ), several of which I use in my Portfolio tracking page. A must listen for any real estate investor regardless of experience. Joshua Dorkin and Brandon Turner interview successful real estate investors in this podcasts and it is an absolute treasure trove of information. 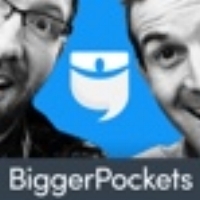 I've learned more strategies and tactics from Bigger Pockets (between the podcast and the forum) than I can count. Keith Weinhold is an excellent real estate investing educator. Keith owns a substantial portfolio of properties and now runs the popular GRE podcast. Be prepared for some new perspectives about life and money, as well as some great information that can be acted upon. Keith is a big proponent of turnkey investing, and hosts many providers on his show.